In the software world we hear a lot about this idea of software craftsmanship, but really, taking pride in the work we do or the deliverables we provide is something we should all appreciate. 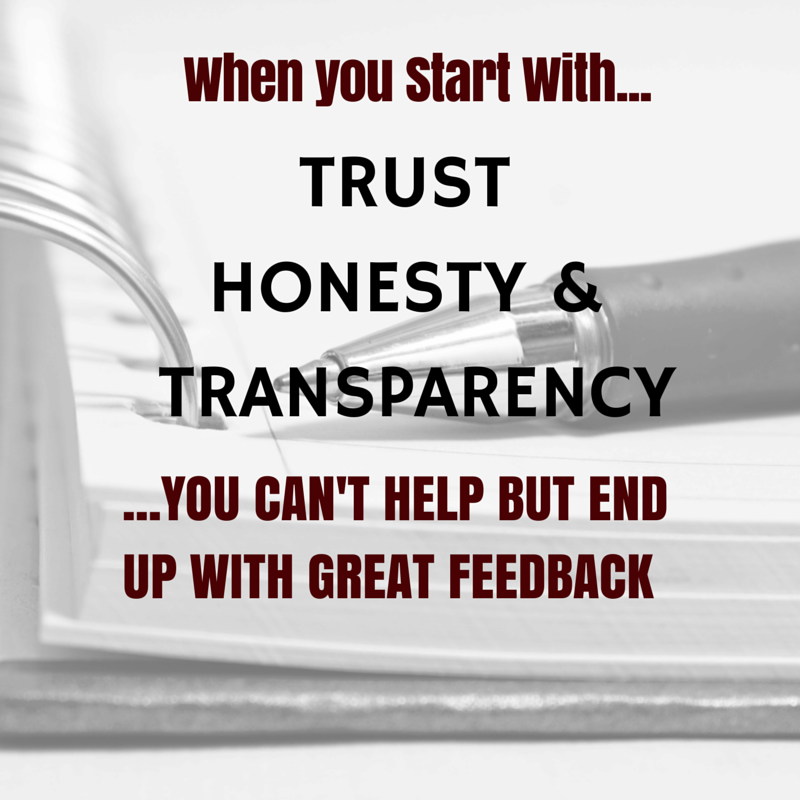 With that in mind, lets think about something most of us do on a fairly regular basis: Provide Feedback / Reviews / etc. for our colleagues. With that in mind, lets also think about getting a whole lot better at doing it. In other words, lets stop just writing feedback and start crafting it. At Online, we have an annual review cycle in place where feedback can be submitted anytime but specifically gets compiled and reviewed annually with your career mentor. 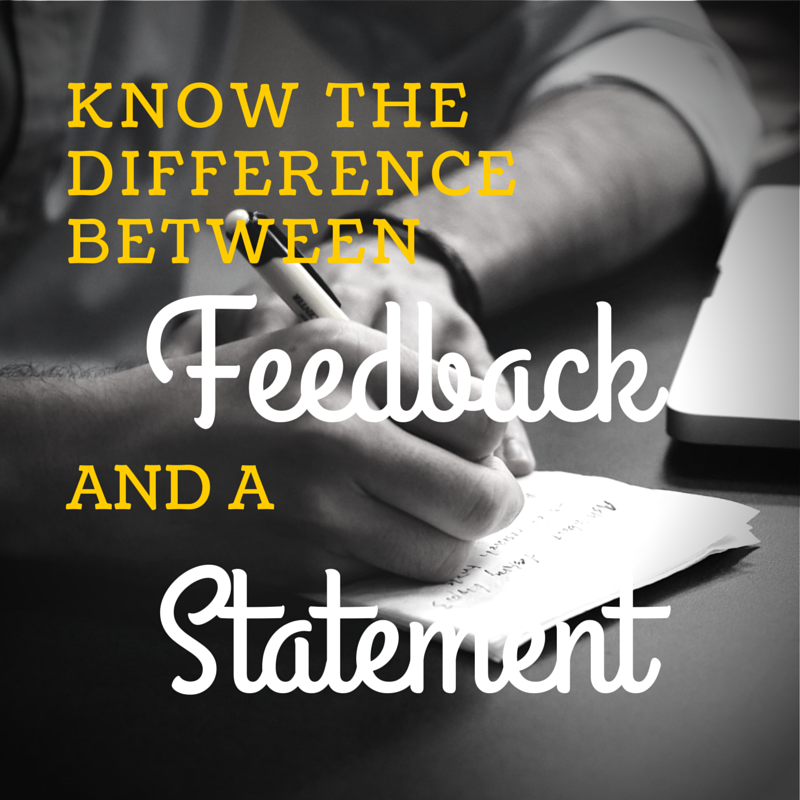 Everyone has a different opinion on reviews and review cycles, but for the most part this system works well (especially since you aren’t confined to the cycle – you can provide feedback at anytime). In addition to this review process, everyone also has a Career Mentor (CM), someone to help them navigate the consultant landscape as it were. Your CM reviews your submitted feedback and discussed ways to improve in the coming year in addition to compiling some thoughts around a plan to actually realize those improvements. Over the past few years, feedback (and I’m talking about good feedback – not to be confused with positive feedback) has been one of the things I’ve been passionate about. I had an epiphany a couple of years ago when I was working on putting together a review for one of my team members. Going over the feedback submissions he received over the past year, most of them were not very useful at all. One thing I did notice, however, was that a select few of the submissions were good. Very good. 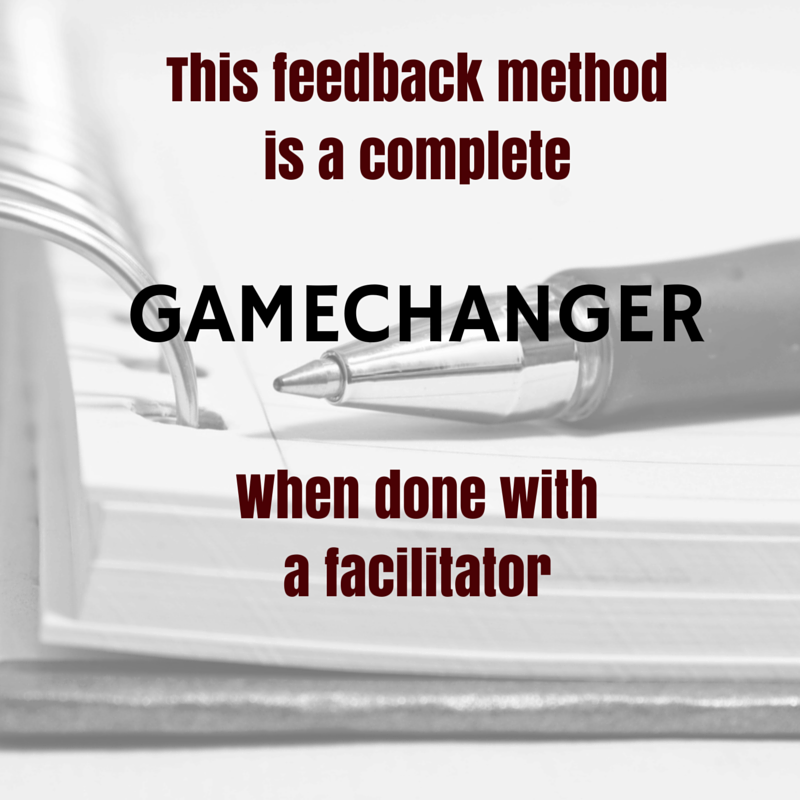 The key for me was seeing what exactly was different about those particular submissions and putting together not only the traits that made them amazing, but an approach anyone can use to create awesome feedback every… single … time. Something you can do to guarantee people respond poorly to your feedback, is to provide it completely out of context. Pro-tip: if you’re not providing feedback in a timely fashion, or you’re brushing something off face-to-face and then slamming someone in a written report after the fact… you’re doing it wrong. 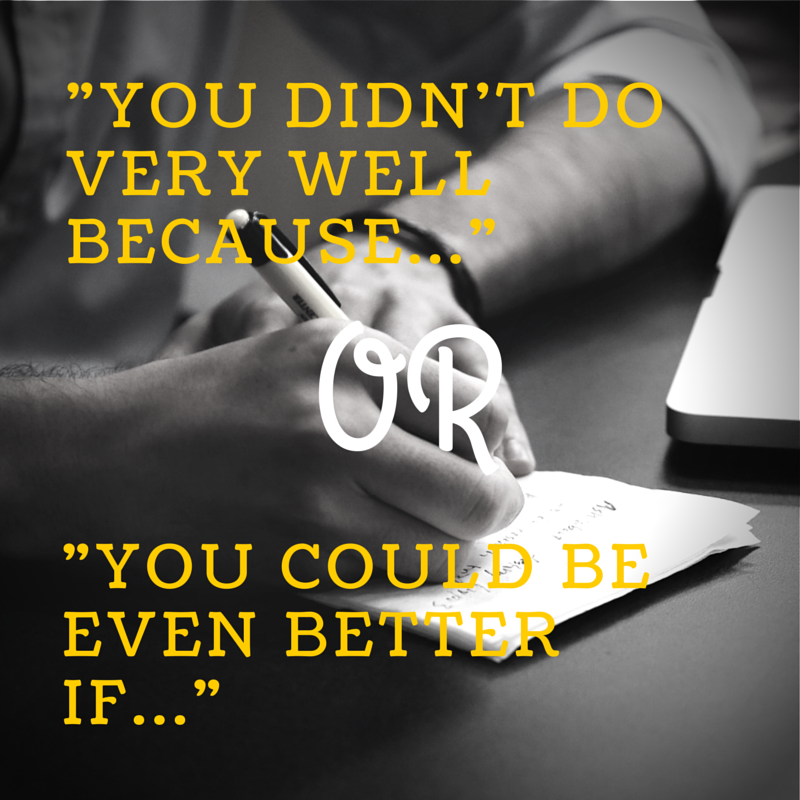 Level yourself up and commit to providing feedback in a timely manner when its both positive or negative. So-and-so is absolutely TERRIBLE at writing documents. Straight up … this isn’t feedback. Writing feedback in this way allows a large degree of subjectivity to creep (or maybe dive-bomb is a better word) it’s way in, clouding what you actually meant. The problem with this statement is that it quite literally changes the feedback’s message from what the you think it means to how the recipient interprets it’s meaning. Your 5-WHY’s (with a splash of don’t use absolutes) typically solve this problem in two shakes. With proper context, even if the receiver doesn’t necessarily agree with you, at least they’ll be able to remember what it was that was happening and you’ll have common ground from which you can start some discourse. So-and-so really needs to up their game in client meetings. I’ve seen so-and-so manage our meetings expertly and pull together a team even in times of extreme turmoil. What I’d really like to see is a follow up email or plan regarding the next steps we discussed in those meetings. The real win here (for everyone) is that you get buy-in (a.k.a. Trust) from the recipient because they believe you have their best interest at heart. This concept of trust means the recipient will be more willing to not only accept the feedback but also act upon it. When you think about it realistically, this is obviously the only reason to give feedback in the first place (to promote growth through positive change). Feedback for feedback’s sake is total nonsense. So-and-so needs to manage their time better when working with multiple clients. Providing not only the areas for improvement, but also the strategies required for improving, will give the recipient everything they need to be successful on future engagements or projects. 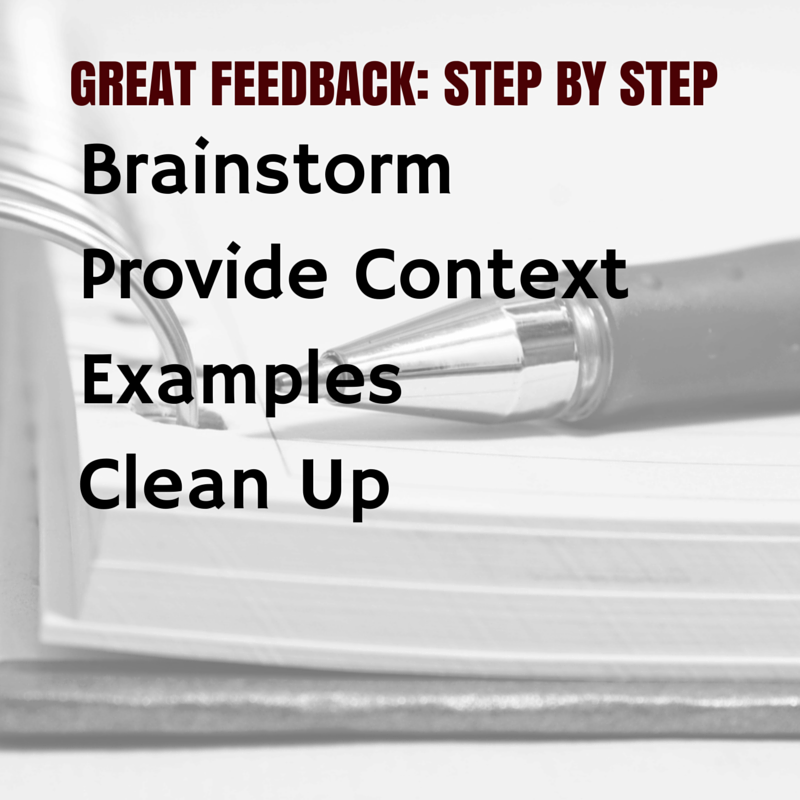 A common thread among all feedback books / blogs / etc. is that smart people want better feedback. They want this, of course, because smart people also want to constantly improve themselves. If you tie this back to the third item in our list, the fact that you want growth, then you really should be explaining how to grow. Acting (because you provided a way forward).